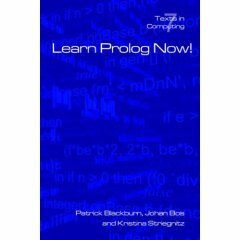 These lecture notes provides a basic, self-contained, clear introduction to Prolog, along with its practical aspects. This is the first draft of a new course on Prolog. It is based on authors experience of teaching Prolog at the Department of Computational Linguistics, University of the Saarland, over the past four years. There two goals in this course. First, to provide a text that was relatively self contained, a text that would permit someone with little or no knowledge of computing to pick up the basics of Prolog with the minimum of fuss. The text also has to be clear enough to make it useful for self study. The hope is, when the reader has done with reading the text, and doing the associated exercises, he/she will gain a useful partial entry to the world of Prolog. The second goal is to emphasize the practical aspects of Prolog. Prolog is something learned by doing. Reader can't expect to learn a programming language simply by reading about it. And to get the most out of this course, it is strongly advised for the reader to get hold of a Prolog interpreter and work through all the Practical Sessions provided in this course.